A trademark is a device or tool created by the law that enables consumers to find the products and services they’re interested in. It’s a container of your brand signs, such as your brand name. Trademarks serve this purpose of being your “badge of origin”. They’re designed to avoid customer confusion which is why a trademark has to be able to function as a unique identifier of your products and services. A trademark therefore tends to be a most valuable asset as you build goodwill. However, not all signs qualify for exclusive “ownership” as trademarks. Say you provide IT support services and call your business IT Support, you won’t be able to stop another IT support business also referring to themselves as IT support. The law will not give anyone exclusive rights to use a term like IT Support which all other traders in the industry need to be able to freely use. If you use a sign like that which the law will not give you exclusive rights to, (for example, because the sign is too descriptive and not capable of functioning as a trademark), it means don’t have a unique identifier. Effectively, it’s like not having a name. Your competitors will be able to use the same sign or similar signs and steal some of your market share – they’ll get business that might have been looking for you. As such it’s like having a leaky colander rather than a leak-proof container for your brand. 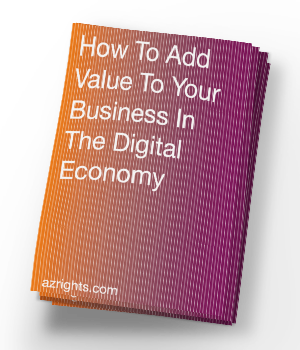 As such it means your brand value will be reduced, it will be less than it might otherwise have been. Consumers will be confused when looking for your products and services. Say you register IT Support with a logo. 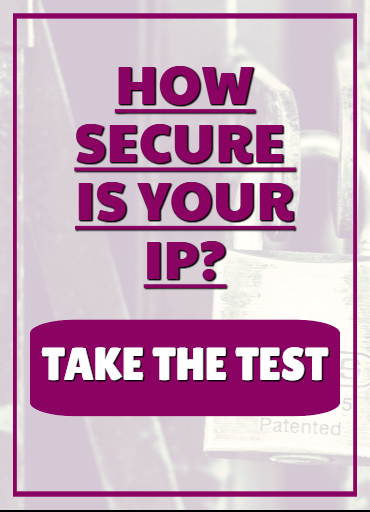 You will secure trademark registration, yes. However, what you’re essentially getting protection over is the logo, not the name. The law will not accept IT support as functioning as a trademark, so the name element won’t be exclusive to your business. Competitors would also be able to use IT support as a name to identify their business. As the name is such an important identifier it is important to make sure any name you’re using with your logo is one that is capable of functioning as a trademark. 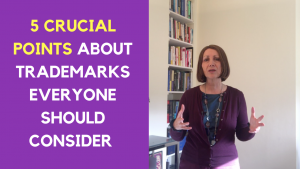 Otherwise, your trademark registration isn’t going to give you the unique rights over the name element of your trademark that you need. You will end up with customer confusion in the marketplace, and this will reduce your profitability as a business. On the other hand, if you choose a good name that can uniquely belong to you, it will protect you even where someone is simply using a similar name that could be confused with yours by consumers. A name that can’t function as a trademark won’t even protect you against use of exactly the same name by a competitor. Remember that buyers are not going to be so aware of the look of your logo if they’ve heard of your business from their friends and family as to be able to recognise from the logo on the website that it’s not your business but that of a competitor. So, don’t be lulled into a false sense of security by a logo trade mark registration. Remember that the primary benefit of a trademark should be to enable you to challenge others who use similar names. For an IT support business, a better choice of name would be Geek Squad. However, there can only be one Geek Squad. If someone else is already using the name in the country in which you operate or has registered it as a trademark, you’d need to avoid choosing that name or indeed any name that’s similar to it. Otherwise you’d be infringing on the trade mark rights of the earlier mark. From this it follows that once you have chosen a name, you MUST check that it’s available to use before adopting it. So legal effectiveness and availability are keys to trademarks. Domain and company names need to be checked before use too but it’s trademarks that govern rights in names. The fact that a domain name or company name is available to register doesn’t mean you can use the name for any purpose you like. You must only use the name for purposes which don’t conflict with third parties’ existing trademark rights. This brings me to the next important aspect of trademarks you should be aware of, and that is trademark classes. 2. How Trademark Classifications Work. Trademarks are registered by reference to specific ‘classes’ or business categories. So you need to think through your plans, and identify the business categories that are relevant to your type of business, and then search and register your mark in those. Under trademark law names may be shared. So, if your desired name is already registered but for different business activities, you may still be able to use the mark, and co-exist with another business who is using the same name for those different purposes. For example, Automobile Association and American Airlines are both known as AA; and are both registered trademarks. The take away from this is to identify the trademark classes applicable for your brand when searching, and drafting your trademark. The classifications determine the scope of protection you get. Say you register your name to sell clothing, and then later decide to also sell cosmetics. If someone else is using a similar name to yours for cosmetics, you might infringe on their rights by extending your activities to encompass cosmetics, meaning you would need to find a different name for your cosmetics line. Don’t ever assume you may go ahead and use your name for any business activity you like. First check whether you’ve registered the name for that business category – cosmetics, in this example, and if not, do a search and register in the new business category before embarking on the new use of your name. The third point to consider about trademarks is why bother registering. Trademarks are an essential step to securing the exclusive rights your business needs over elements of your brand identity. It’s also the way to retain your brand’s distinctiveness, and to avoid seeing it become generic. Registering a trademark is the formality you need to go through to secure ownership over your brand sign. As already mentioned, prioritise the name because it’s the primary way people will identify you. A trademark enables you to stop others using the same mark. By having a registration in place, others are on notice of your rights. Provided you’ve checked that you can use the name before you register it you get exclusive rights over the name in the business categories in which you register your mark. It’s important to undertake proper searches because in some jurisdictions like the EU a registration doesn’t protect you against infringement. For example, Skydrive was a registered trademark of Microsoft but wasn’t enough to prevent them from infringing on Sky’s trademark rights. Sky took the matter to court arguing that the names were confusingly similar for cloud services and the court agreed with Sky. So, Microsoft was forced to rebrand to Onedrive. Some countries such as Spain require names to be registered as the rights in names are based on who first registers a name rather than who uses it first. In common law countries using a mark without registering it does give the user certain rights, but they are a lot more limited, and costly to enforce than most people realise. If you don’t register your trade mark, you risk losing uniqueness. Something that started out initially as distinctive to your brand can quickly become generic. Had Coca Cola not protected its iconic bottle right from the outset when the bottle was designed for the company, there is no way the bottle would today be uniquely associated with their brand. A case that demonstrates how precarious it is to rely on mere use of a mark involved two bands that were both called Blue. BBC. One was a current boy band backed by EMI and the other was a 70s rock group known as Blue. That band had a single released in 1977 which got to number 18 in the charts, and had since released 16 singles, seven albums and several remixes. They hadn’t registered a trademark, and as a result, were unable to stop the new boy band using the name BLUE. The take away is to register a trademark. They’re relatively cheap to register, and very expensive to defend or enforce when you haven’t registered one. The advantages of registering a trademark are significant. Registration considerably reduces the risk of others picking the same brand element for their new products or services because your registration is on the public trademark registers. People are expected to search these registers before choosing names or other brand elements. If you’re not on the register someone else may build rights over the same name or another brand element, and this can lead to messy disputes and unnecessary costs. If you are on the register they are automatically in the wrong for using the same name and it is, therefore, a lot cheaper for you to enforce your rights than if you hadn’t registered a trademark. The fourth point about trademarks is that they are territorial. What this means is that you need to apply to register a trademark in every country in which you want to trade and receive protection. There is no such thing as an international trademark. There is an international mechanism in place to apply for trademarks which makes applying for trademarks in a number of countries simpler to achieve. It involves filing an application in your home country first and then thanks to various international agreements between countries worldwide you get 6 months’ protection from the date you first file your first application. If you then file an application under the Madrid system you’re able to extend your base home country trademark to countries who are party to the system. You simply file a single application and designate your desired countries and pay the applicable fees. Unfortunately, if you don’t protect your mark in countries in which you trade, you could find yourself in a situation similar to what happened in Plenty of Fish/Plenty More Fish. Plenty of Fish, a well-established online dating site objected to PlentyMoreFish setting up a rival online dating site in the UK under a similar name. They opposed PlentyMoreFish’s UK trademark application, arguing that PlentyMoreFish was riding off its reputation by setting up the rival dating site. They lost because they couldn’t show that they had UK customers and as they hadn’t protected their brand with an EU trademark they were powerless to stop PlentyMoreFish. That type of situation would never happen within a country as there would be passing off laws and other remedies under local trademark laws which Plenty of Fish could have used to stop PlentyMoreFIsh. However, online it’s possible for this sort of scenario to arise unless you are vigilant about protecting your mark in countries in which you trade. Best to cover off your home market and the important jurisdictions in which you trade. Prioritise registering in countries in which you do business first. The fact that trademarks are territorial means your registration only protects you in the UK (or EU, if you’ve registered an EU mark). A UK trademark registration covers the UK only while an EU trademark registration currently covers all 28 European Union countries in a single application, including the UK. However, once the UK leaves the EU after Brexit kicks in, an EU trademark will no longer include the UK. So, you should be considering your strategy carefully if you’re registering your mark now. It is possible to extend your home country registration to other countries that are not party to the Madrid Protocol by filing directly with an agent in that country. At the time of writing, important countries that are not party to the Madrid include Hong Kong, South Africa and Canada. You don’t need to be a household name, or a huge multinational to aspire to be a brand in the sense of becoming a recognised provider of the products and service you sell. Your brand protection is important. Oppositions and objections to trademark applications do occur from time to time and that is the fifth and final point to know about trade marks. The trade mark process involves a review by the trade mark examiners of the registry to which you apply for your trademark. They may have objections. A typical objection might be that the trademark isn’t properly applied for or to inform you of search results. Many people who file their own trademark applications don’t understand the Examiner’s objections and tend to abandon their applications as a result. If you’re filing your own application make sure you have a resource you can turn to for advice if there are objections to your application, as they’re often quite simple to address. Once any objections are dealt with and your application is approved it is advertised for what is known as opposition purposes. That’s when existing trademark owners will be alerted to applications that are similar to their registrations so that they can consider whether to oppose any. Either the IP office notifies them or if they have trademark watch services, they hear from their trade mark agents. They may not necessarily bother to oppose applications. In the UK that doesn’t stop them objecting to a registration several years later. Indeed they often won’t oppose a start up and wait and see whether the start up succeeds before deciding to do so. The single most valuable information that could literally save some businesses from catastrophic results is to learn from the mistake of Scrabulous. This was a very successful app on Facebook that provided a Scrabble like game online. It had hundreds of thousands of users when it was stopped overnight almost by a trademark and copyright infringement claim. The business came to the attention of Hasbro, the owners of Scrabble because they filed their own trademark application and Hasbro was notified. Hasbro considered that the company was infringing on its brand by using a similar name, and were also infringing copyright in the board game. Hasbro applied to Facebook to have the app taken down. Facebook immediately complied. The company lost its successful business on Facebook virtually overnight. The set back paved the way for Zynga to enter the market with what has become the market leader, Words With Friends. Scrabulous lost its position as first in the market. The teaching point here is to get an opinion from a good trademark lawyer before filing an application as the application itself would alert others to your activities. Had Scrabulous sought my advice, I would have counseled them to quietly rebrand rather than apply for a trademark which was bound to bring their infringement to a head. You can rebrand to new names without any loss of goodwill because you are able to redirect everyone to your new name. However, when you are required to rebrand due to a trademark infringement claim you lose the value of the brand name recognition you have built up. You lose all the brand value you’d built up as the terms of infringement undertakings will not permit you to repoint traffic or tell people that you used to be called X name. Much better for a business like Scrabulous to have quietly rebranded to a new name, and never come to the attention of Hasbro. They would still be the market leader today probably. So, the moral of the tale is not to be cavalier about names or get too attached to a name that you may not legitimately lay claim to. It is not possible to choose whatever name you like. At some point, you need to get an opinion on the name you’re using. A wider lesson from the above is that if you’re running a business where you don’t think a buyer of your business will want to use your name, that doesn’t mean you need not protect your name or need not to bother to make sure you are using a good name. Your market share is what a trademark protects. If you’re forced to rebrand you can’t keep the value you had generated, and effectively “vanish” overnight. It’s like being back to square one with a totally new name and business. Nobody knows who you are. By Shireen Smith | March 14, 2019. This entry was posted in Blog and tagged azrights, brand, Brands and Trademarks, Intellectual Property, Names, shireen smith, trademark, trademark application, trademark infringement on March 14, 2019 by Shireen Smith.